Geared for kids in 6th through 10th grades, “Fear or No Fear” will feature interactive game shows with chances to win cash prizes. Sponsored by the Christ-centered organization “Impact,” the event is scheduled for Friday, Dec. 7 at the Benedum Civic Center. “Well, in this case, it’s ‘Who Wants to Win $1,000,’” Hostler said, adding that if a contestant answers enough general knowledge questions correctly, he or she could walk away with the cash. Cash prizes will also be awarded in the “Deal or No Deal” game, based on the popular TV show hosted by Howie Mandel. 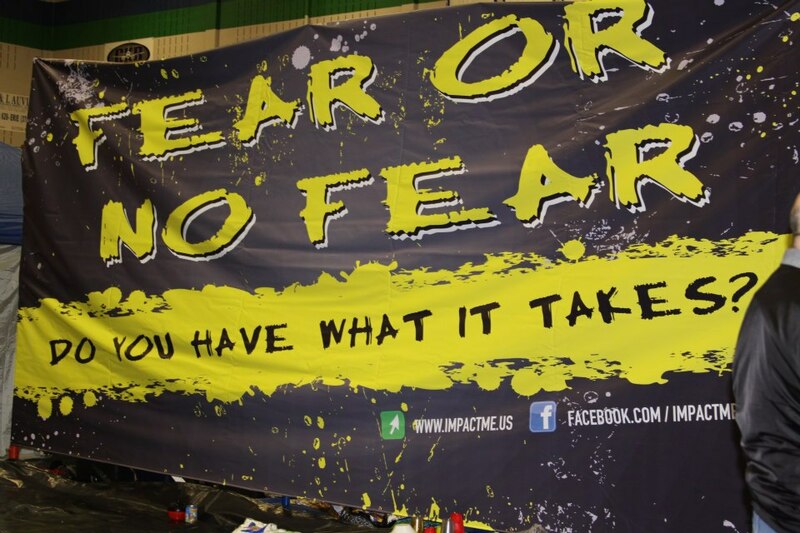 The winner of the “Fear Factor” game will win a scholarship to the Impact winter youth retreat, “The Mansion on the Mountain” in Gatlinburg, Tenn., valued at $500. All teens in attendance will have a chance to be selected for participation in game shows. Kids are encouraged to build teams of 13 to prequalify to get on the contestant bracket. In addition to game show contestants, there will be crowd games and challenges so everyone has a chance to participate. Following games, there will be a break during which time kids can purchase concessions – hotdogs, nachos, popcorn, candy, cotton candy - for $1 each. The final portion of the evening will be the “truth” part of the event. In this case, a bible-based message about Christmas. Hostler, who serves as youth pastor at Oak Grove Baptist Church in Grafton, encourages area kids to take part in Friday’s event. “It’s a very fun way for teens to spend an evening with a positive activity for them and their friends and/or family and to participate in hearing the truth about Christmas. It’s a tremendous blessing to anyone at any age,” he said. Tickets are $20 each, but those who text 304-933-1234 or visit the Impact Web site www.impactme.us can pre-purchase tickets for $15. Also, the first 20 Bridgeport kids who show up at the Benedum Civic Center at 5:30 p.m. Thursday during event set-up will receive free event tickets. No one will be turned away from the event because they cannot afford a ticket. Parents are welcome, but they must contact Impact directly via text prior to the event (by Friday afternoon) for a special pass due to security protocols. There will be adequate security at the event. Doors open at 6:30 p.m.
Impact is perhaps the area’s largest youth outreach organization. It hosts after-school programs, “March Madness,” winter and spring retreats and fall activities such as “Fear or No Fear.” At the last event held at Robert C. Byrd High School, a Washington Irving student won $350 and a Bridgeport Middle School student won $710. For more information, visit www.impactme.us.